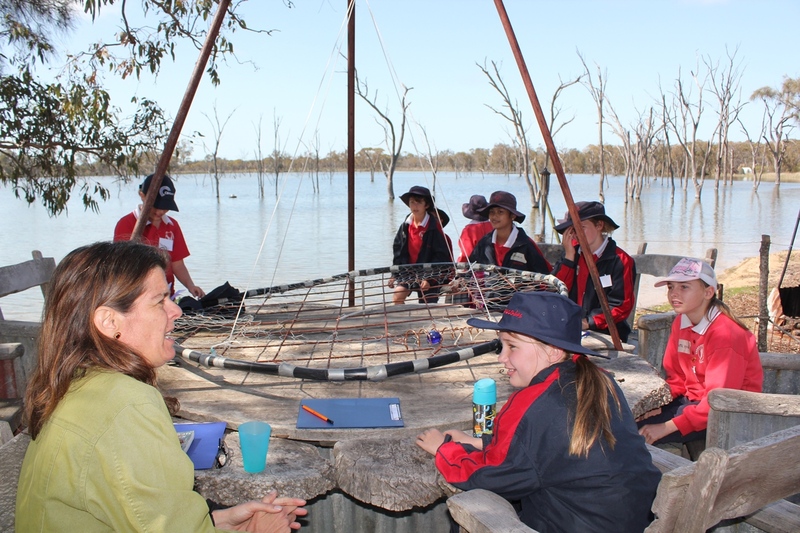 More than 60 students from three Wheatbelt schools have spent a day learning about their natural environment. The program was an initiative of Millennium Kids, a not for profit organisation set up to help children become environmental ambassadors. The program was funded by natural resource management group Wheatbelt NRM through its Community Small Grants Scheme. Bolgart, Goomalling and Calingiri Primary Schools were chosen for the daylong outdoor learning adventure. Students visited Boshack Outback, near Bolgart in the central Wheatbelt, a farm stay and property where bush land is undergoing rehabilitation. Mick Davis, Biodiversity Coordinator and Landcare Facilitator from Wheatbelt NRM in Northam said the students learnt about aboriginal perspectives on the land, wetland bugs and critters and the habits of local reptiles. “They also worked with local eagle expert Simon Cherriman about how these amazing animals build their nests, and what they prey on by the bones left over in their nest,” he said. Catrina-Luz Aniere from Millennium Kids CEO said the young people had identified salinity, water logging, and pressure on the bush and native wildlife as major challenges for the future. She said they wanted to set up projects that helped them learn about these issues and then help landowners tackle these issues. “The funding from Wheatbelt NRM for this project gives young people a fabulous opportunity to learn about these issues whilst helping local landholder Deryck Brockhurst get a snapshot of the health his property,” she said.